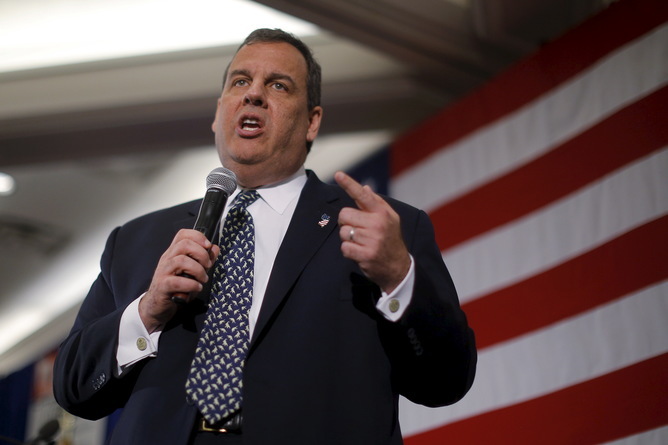 With states legalizing marijuana by popular vote, some politicians, including Boston mayor Marty Walsh and New Jersey governor Chris Christie, are still calling marijuana a gateway drug. The gateway theory argues that because heroin, cocaine and methamphetamine users often used marijuana before graduating to harder drugs, it must be a “gateway” to harder drug use. The theory implies that there is a casual mechanism that biologically sensitizes drug users, making them more willing to try – and more desirous of – harder drugs. Yet the gateway hypothesis doesn’t make sense to those who use marijuana or have used in the past. Research shows that the vast majority of marijuana users do not go on to use hard drugs. Most stop using after entering the adult social world of family and work. So why is it still part of the rhetoric and controversy surrounding the drug? A closer look reveals the historical roots – and vested interests – that are keeping the myth alive. When analyzing what acts as a “gateway” to hard drug use, there are a number of factors at play. None involve marijuana. Poverty and poor social environment is a gateway to drugs, according to much research. Association with people who use hard drugs is a better predictor of harder drug use. Certain mental illnesses, such as antisocial personality and bipolar disorder, are found to pre-dispose some people to use drugs. Other research notes that criminalization and prohibition are real gateways to harder drugs. With so much research challenging the gateway theory, it’s important to examine – and dispel – the research that proponents of the myth latch onto. But what about all that evidence? Most of the research linking marijuana to harder drug use comes from the correlation between the two. However, as any junior scientist can tell you, correlation does not mean causation. Correlation is a first step. A correlation can be positive or negative; it can be weak or strong. And it never means a cause unless a rational reason for causality is found. The brain disease model, which describes changes in the brain during the progression from drug use to addiction, currently gets a lot of attention as an potential causal link of the gateway theory. For example, in a 2014 article, neuroscientist Dr Jodi Gilman reported that even a little marijuana use was associated with “exposure-dependent alterations of the neural matrix of core reward systems” in the brains of young marijuana users. The reasoning goes that this would predispose them to use other drugs. But other researchers were quick to point out the flaws of the Gilman study, such as a lack of careful controls for alcohol and other drug use by those whose brains were studied. Nonetheless, Dr Gilman’s research continues to be cited in the news media, while its critics are ignored. In another study supporting the gateway theory, the authors admit to limitations in their study: that they excluded younger cocaine users from the analysis, as well as older cocaine users who had never used marijuana. This means that those cases that might provide evidence of no gateway effect were left out of the analysis. One the other hand, there’s a wealth of research showing the flaws in the gateway theory. Unfortunately, the common thread among these studies is that much of them come from outside the US or from grass-roots organizations within the US that are promoting marijuana legalization. So why is it that most of the funded research pointing out flaws in the gateway theory comes from overseas? 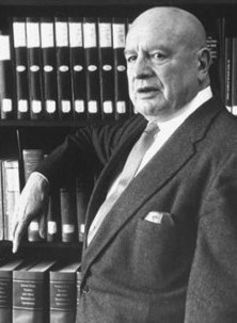 Harry Anslinger, the first director of the Federal Bureau of Narcotics. As Nathan Greenslit explained in an Atlantic article last year, US drug policy began with racist fear-mongering by Federal Bureau of Narcotics director Harry Anslinger in 1937. The Nixon administration strengthened drug control with the creation of the Drug Enforcement Agency, which classified marijuana as a Schedule 1 drug, against the advice of the National Commission on Marijuana and Drug Abuse. Because marijuana is still officially classified in the US as a Schedule I drug with no medical value, carefully controlled research using marijuana must receive approval from several federal departments. On the rare occasions that researchers do get approval, local politics can thwart the study. Meanwhile, in the United States, addiction researchers and addiction treatment professionals are heavily invested in the weakly supported claim that marijuana is a gateway to hard drugs. For decades, scientists who study addiction have received millions in government and pharmaceutical funding to perpetuate the gateway hypothesis. Many would lose their respected reputations (or continued funding) if a gateway mechanism is not a legitimate research goal. Those who work in the vast addiction treatment profession are especially invested in keeping the gateway theory believable, since the majority of their treatment patients are marijuana users. Their jobs depend on a belief in addiction as a disease and on marijuana being an addictive drug. Today, what started as scare tactics under Anslinger has been “modernizied” (and mystified) by scientific jargon. Sociologists Craig Reinarman and Harry G Levine described how the media and politicians manufacture drug scares to influence policy. One fear perpetuated is that marijuana use will increase if decriminalized. But a 2004 study compared Amsterdam, where marijuana was decriminalized, to San Francisco, where cannabis was, at the time, still criminalized. The authors found that criminalization of marijuana didn’t reduce use, while decriminalization didn’t increase use. The gateway fear has focused mostly on youth. For example, newly-elected Maryland governor Larry Hogan announced that he is against legalization partly out of concern that “marijuana use would increase among young people.” Meanwhile, parents are concerned by recent research showing marijuana’s effect on the brain. These studies showed structural changes and loss of white matter in marijuana users, although the limitations of these studies and implications were questioned by other research. But fears of decriminalization resulting in increased use among youth haven’t been supported by research from countries where drugs were decriminalized. Nor has this trend been noted in studies of US states that legalized marijuana for medical or recreational purposes. For example, in an article published in the American Academy of Pediatrics, the authors found no evidence that young people had increased marijuana use in states that had legalized medical or recreational marijuana. The worst impact on kids, according to these authors, was the potential for criminal prosecution. Studies consistently find that the traumatic experience of being arrested and incarcerated for marijuana possession is the most harmful aspect of marijuana among young people. Arrest for possession can result in devastating – often permanent – legal and social problems, especially for minority youth and low-income families. Getting arrested can be a traumatic experience for young people. According to studies by the ACLU, nearly half of all drug arrests were for marijuana possession, and the majority of those arrested were African American. In some states, African Americans were more than eight times more likely to be arrested for marijuana than whites. Unfortunately, marijuana legalization has not changed arrests and incarceration disparities for minorities. While African Americans have always been over-represented for drug arrests and incarceration, new research shows African Americans are more likely to be arrested for marijuana possession after marijuana reform than all other races were before marijuana policy reform. Although in some states, decriminalization makes possession a “noncriminal” offense, it can still be illegal and can result in an arrest, court appearance and stiff fines. On the periphery of the marijuana-as-gateway-drug debates are studies showing marijuana as beneficial for the treatment of opiate addicts. These have been largely ignored. However, now that marijuana has become legal for medical purposes in some states, new research offers substantial findings that can’t be dismissed. Crime has not increased in states that have legalized marijuana; it’s actually gone down. Surprisingly, opiate overdose deaths have gone down as well. As I’ve written previously for The Conversation, anyone who actually talks with problem drug users (and doesn’t simply talk about them) knows that marijuana can help drug users prevent, control – even stop – hard drug use. If anything, marijuana can work as a gateway out of hard drug use – an exit strategy that needs to be studied and, possibly, implemented at the policy level. It’s time to move beyond marijuana as a gateway drug and start to study its use as treatment for the deadly, addictive and socially devastating drugs.